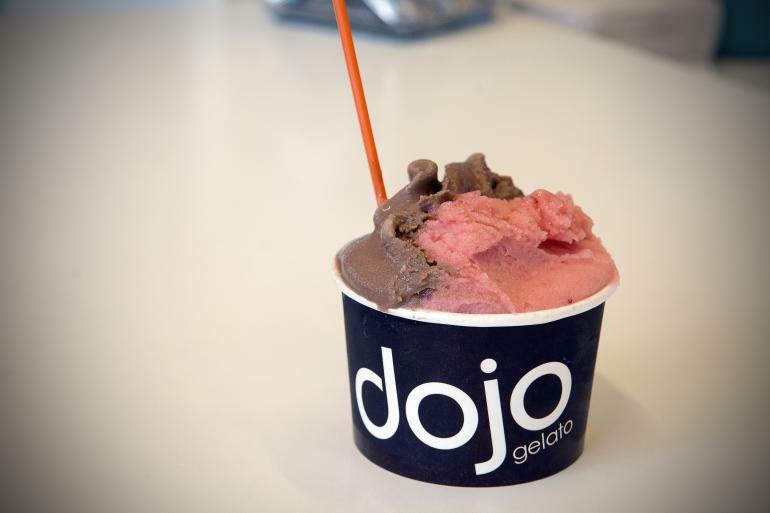 Dojo Gelato, in the Market House of Findlay Market, offers a dozen made-from-scratch flavors of the Italian-style ice cream, which is made one batch at a time with local ingredients. Gelato uses more milk and less cream than typical American ice cream, so gelato is lower in fat, yet creamier. Or try a sorbetto, an Italian-style sorbet, which is dairy-free and vegan-friendly. They love to pair flavors together to create a fresh, original taste, such as blueberry cinnamon and sea salt caramel. Look for the Dogo Gelato cart at public and private events around the city. Check out their Web site for locations and times. From fro-yo to gelato to french-pot, cool off on a hot summer day with a frozen treat in Cincinnati and Northern Kentucky. Findlay Market is Ohio's oldest continuously operated public market and one of Cincinnati's most cherished institutions. Tour features a mix of casual and upscale restaurants, bars, and specialty shops. Tour includes an introduction to the new Cincinnati Bell Connector (The Streetcar), at least four food samples, and one glass of beer or wine. The Over-the-Rhine Sweet Stroll is for sugar lovers and includes stops at bakeries, pastry shops, and cafes in the neighborhood.